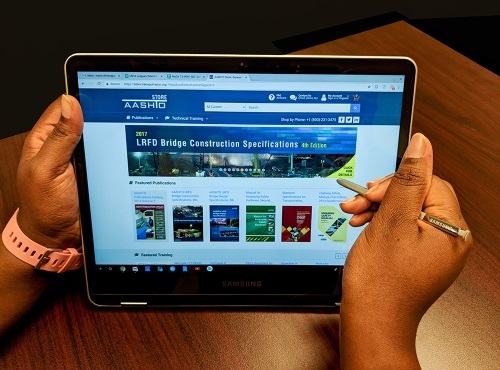 The American Association of State Highway and Transportation Officials recently transformed its AASHTO Bookstore resource into the ‘AASHTO Store,’ which will serve as the ‘digital home’ for the group’s AASHTO Publications and Transportation Curriculum Coordination Council (TC3) resources. With almost 200 courses currently available, TC3 technical trainings courses cover a wide range of topics, from construction and maintenance to employee development, along with many more. The new AASHTO Store website also features a new look and a more user-friendly experience, with one of its biggest updates an improved purchasing gateway, which allows customers to seamlessly add all of their items into a single digital shopping cart prior to purchase. The new store also gives customers the ability to locate a wide variety of products within the AASHTO Publications group, including: new releases, upcoming publications, access to the publications archive, different publication formats, a revised list of Frequently Asked Questions or FAQs, plus special pricing and discounts. For more information, browse the new AASHTO Store website at store.transportation.org.